Andrew Shaw, baritone, is currently studying at Temple University’s Boyer College of Music and Dance under Voice Associate Professor, Dr.Lawrence Indik. A Pennsylvania native, Andrew matriculated to Temple as he saw the program there is dedicated to nurturing talented students. During his time at Temple, Andrew has matured into a successful vocal performer in both collegiate as well as public programs. His 2014-15 season began with Poor Richard’s Opera Fringe Festival and as Dater #5 in the Philadelphia premiere of Michael Chang’s Speed Dating Tonight! He appeared with the Temple University Opera Theater as The Father in Humperdinck’s Hansel und Gretel. 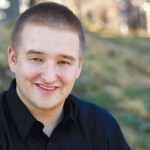 Andrew has also participated as a chorister in Opera Philadelphia’s production of Verdi’s Don Carlo. Other roles include: The Page in Amahl and the Night Visitors, Bartolo/Antonio in Le Nozze di Figaro and The Vicar in Albert Herring.